You could start with battuto. That’s Italian for a combination of chopped vegetables, sometimes with a little added cured pork (pancetta, guanciale, prosciutto, even a slice of salami will do) minced to a paste. 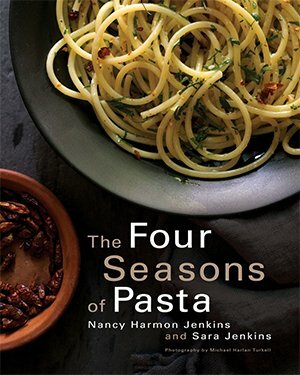 It’s the flavor base of soups, stews, and sauces in home and restaurant kitchens throughout Italy. The combination changes from region to region, indeed from one household to another, but it almost always includes a member of the onion family (yellow or red onion, leek, shallot, scallions) and more often than not a bit of garlic too. What else? Carrots play a major role and celery is usually present—not the blanched and rather tasteless crisp white celery of American kitchens, but a staunch and stately green vegetable that adds intense flavor to the mix. And what else? Parsley—the flat-leaf kind Italian cooks prefer (curly English parsley is practically unknown in Italy); rosemary, but only in Tuscany and possibly Umbria; basil, especially in Liguria where the herb is pungently fragrant; a hint of fresh or dried chili pepper, mostly in Rome and the south; e via dicendo, as we say in Italy, meanng “and so forth and so on.” Some cooks add chopped fresh bay leaves, others anise-flavored wild fennel blossoms, still others a pinch of dried oregano. 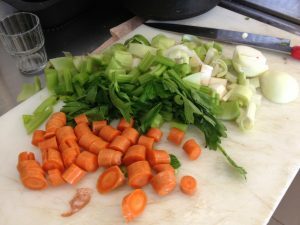 And all these vegetables and aromatics get chopped or minced with the pork and stirred into a bath of olive oil to simmer gently until the pork has released its fat and the herbs and vegetables their fragrance. 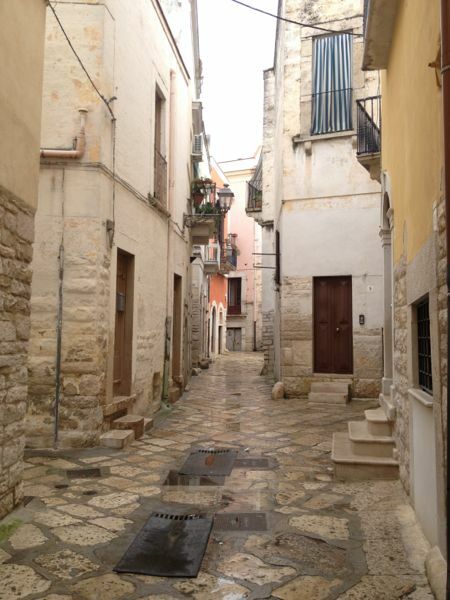 Sicilian soffritto has chunks of pancetta. 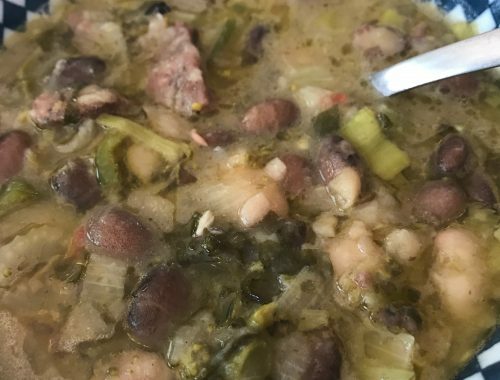 At this point it is no longer a battuto—it has become a soffritto, which is what battuto is once it’s cooked. And at this point, too, it becomes the flavor base of so much else—a fresh tomato sauce, made with the ripe red fruits from your garden or farmer’s market; a risotto of spinach and green herbs; or a summer minestrone, with chunks of zucchini, new potatoes, green beans, shucked borlotti beans, wedges of carrot and turnip, and slivered chard, cooked with a rind of parmigiano reggiano, one of those you threw in the freezer last winter when you’d grated it down to the base. Toss in a handfui of rice, add plenty of fresh green herbs (more basil, more parsley, maybe some savory or even tarragon), bring it all to a simmer and let it cook in its own delicious juices until the rice is soft, then take it off the heat and serve it—not hot, just beyond luke warm–for an al fresco summer lunch on the side porch off the kitchen. 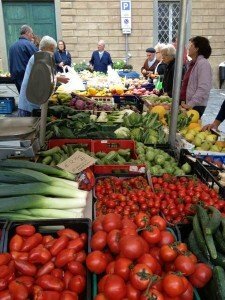 Foreign travelers in Italy complain about the lack of vegetables on restaurant menus. 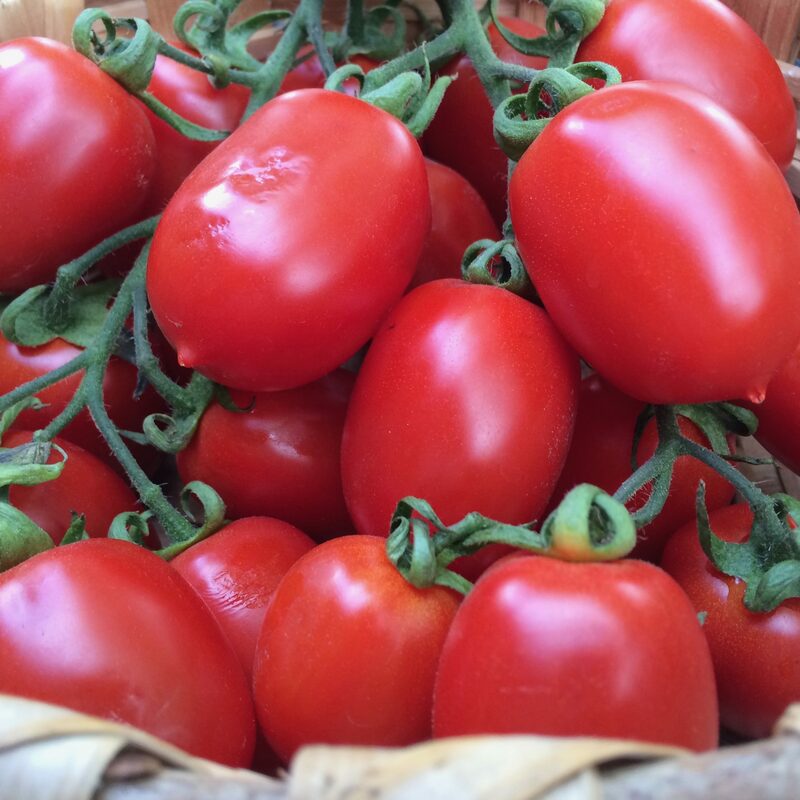 “They’re so beautiful in the markets,” they say, “but where do they go?” I think they miss one of the big points of Italian cooking. The vegetables aren’t out there in full view decorating the meat on your plate. No, they are tucked away, inside those savory sauces and stews. Think about that tomato sauce on your pasta primo. It has not just tomatoes but also onions, garlic, carrots, celery, parsley, and maybe a flutter of chopped basil on top. Isn’t that plenty of vegetables, mamma? 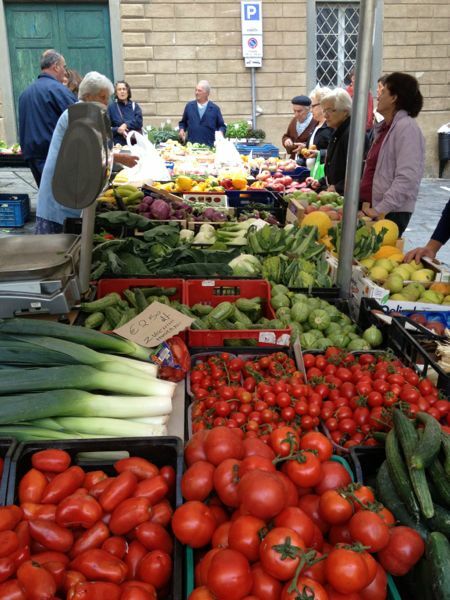 The ladies in the fresh markets know this and offer their steady customers a bouquet of battuto/soffritto essentials. “Odori, signora?”asks Antonella, shy doyenne of the little Piazza della Pace market in Rome, and she doesn’t wait for an answer as she tucks a small bundle of carrots, parsley and celery into my shopping bag—enough really for an abundant minestrone, with maybe a sprig of sage or a little dried chili pepper to add spice to the mix. Do you need a recipe? Not really, but here’s one for the timid—and if you make it once, you can make it over and over until it becomes second nature. Take a medium red or yellow onion, peel it and chop it small. Then take a medium carrot, scrape it, slice it and chop it small. Take 4 or 5 sprigs of fresh flat-leaf parsley (including most of the stems which is where a lot of sweetness lurks) and chop small. 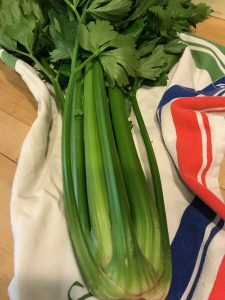 Finally take a celery stalk, as dark and green and flavorful as you can find, and chop small. Add a crushed clove of garlic (smack it with the flat blade of your carving knife) and then chop all of this together until the pieces are very small, even minced. You can do this in a food processor if you wish but hand chopping, if your knife is sharp and your wooden board is clean, has its own therapeutic rewards. 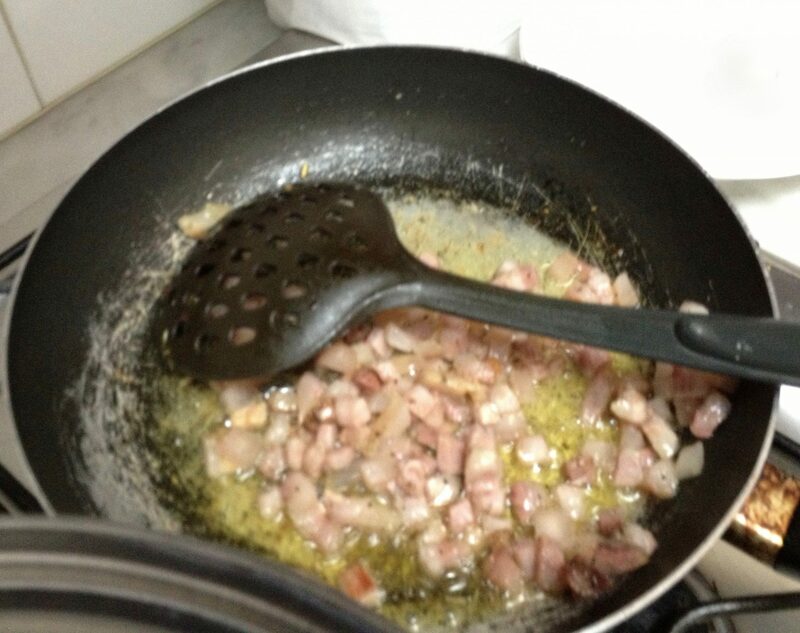 Separately take a thick slice of pancetta and chop until it is thoroughly minced. 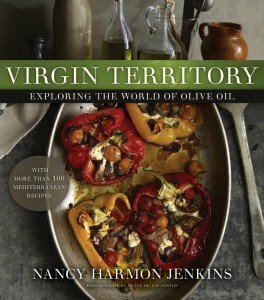 Add 2 tablespoons of oil (extra-virgin of course) to a heavy saucepan and set over medium-low heat. Add the minced pancetta and the vegetables and stir them all in the gradually warming oil until the pancetta yields up its fat and the vegetable pieces start to soften. Chefs call this “sweating” the vegetables—they should just melt but not brown. 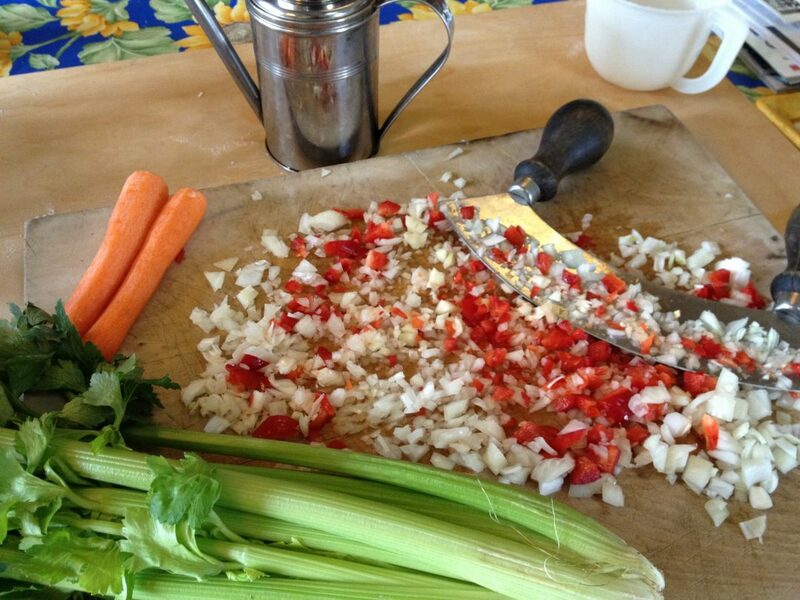 Turn this into a fresh tomato sauce by adding about 2 pounds of chopped very ripe tomatoes, preferably plum tomatoes, which have a higher ratio of flesh to juice. (If you want a smoother sauce, peel the tomatoes before chopping—just drop each one in a pan of rapidly boiling water, leave it for 15 seconds, then take it out and the peel should slip right off.) Add a good pinch of sea salt, several turns of black pepper and, if you wish, maybe a little piece of Calabrian dried red chili. Raise the heat and cook the tomatoes down until they have dissolved into a sauce. How long will that take? It really depends on how much juice is in the tomatoes—15 or 20 minutes should be sufficient. 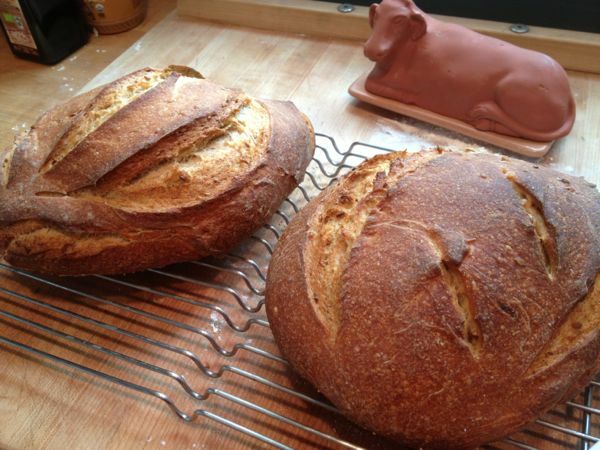 You can use the tomato sauce as is, or puree it with a stick blender or put it through a vegetable mill. 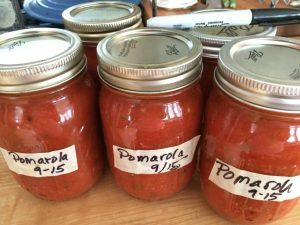 The sauce has a dozen uses, starting of course as the basis for pasta al pomodoro, the favorite of young palates, at least in my household. But think about it also as a flavorful addition to a plate of fresh green beans or a dish of sautéed new potatoes. Use it to top thick slices of eggplant that you’ve roasted in the oven—add a slice of mozzarella and run the eggplant slices under the broiler until the cheese melts. Spread it over a disc of pizza dough, add grated cheese, maybe some mushrooms, maybe a few sausage slices, and bake it off at 400º until the crust is brown and the topping is bubbly. 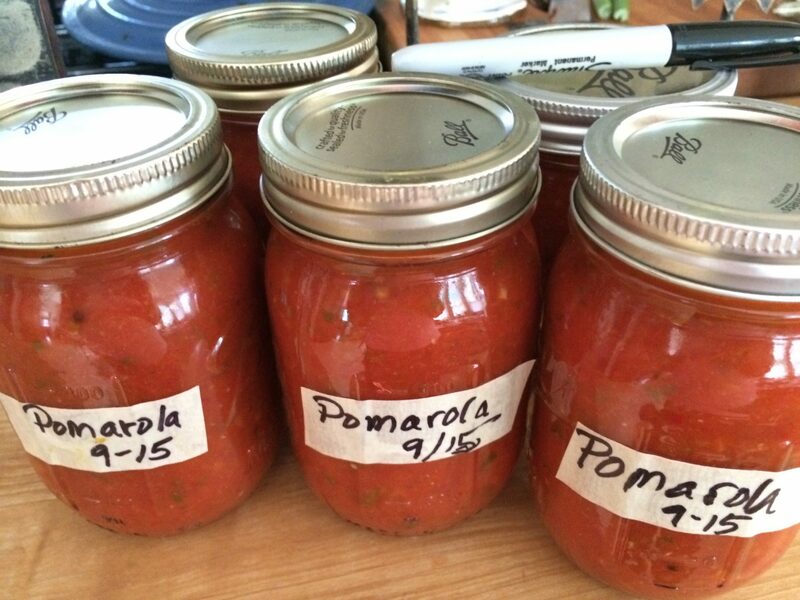 And then, later in the season, when tomatoes are cheap and abundant, make the sauce and freeze or can it (easy directions in standard texts like Joy), to make pomarola for your winter pantry. In January, snow and ice-bound, you’ll be very glad for a bright taste of summer.